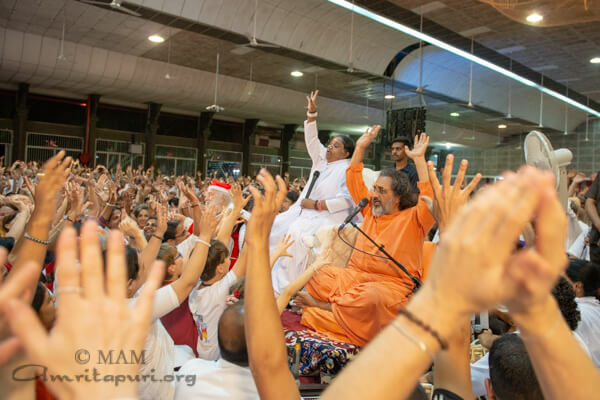 You are here: Home / What selfless actions we have done for others? 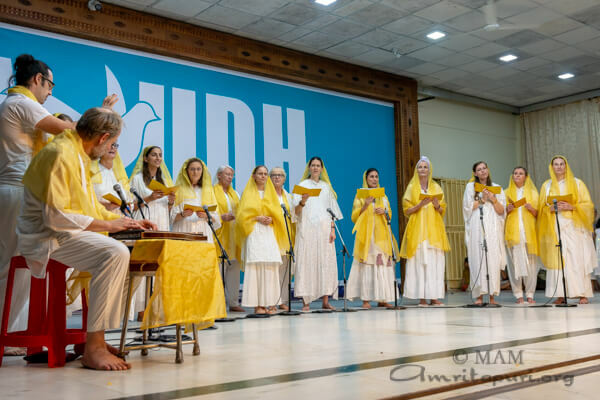 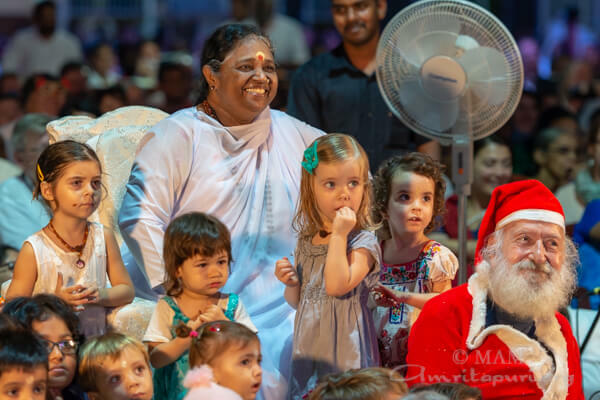 As every year, Christmas at Amritapuri ashram was a very memorable and festive occasion. 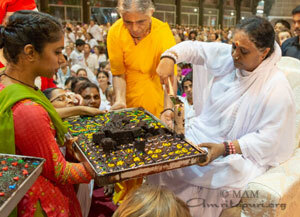 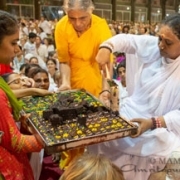 Devotees from all over the world joined in the celebration and cultural presentations in Ammas presence. 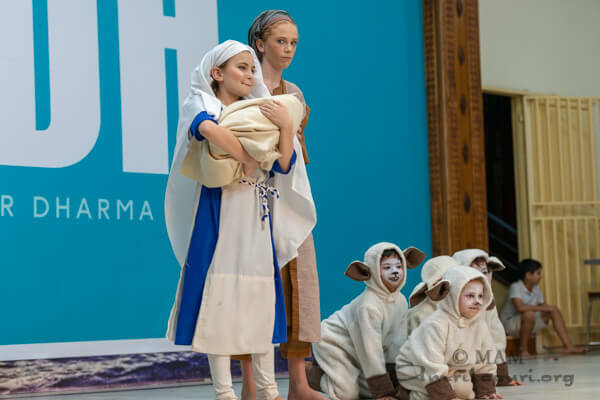 The evening programme started with a traditional German Christmas charol. 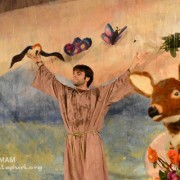 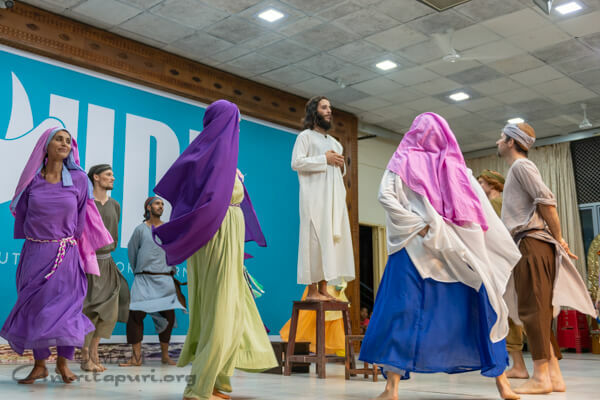 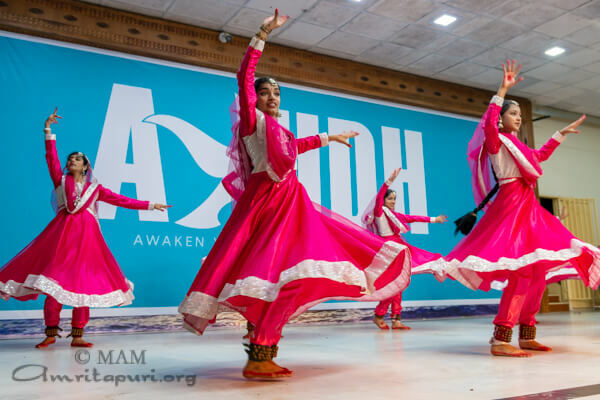 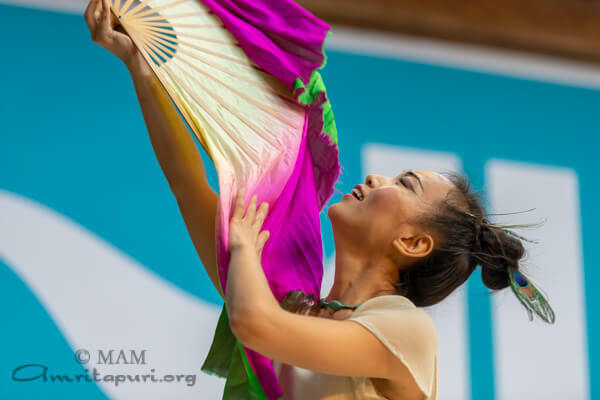 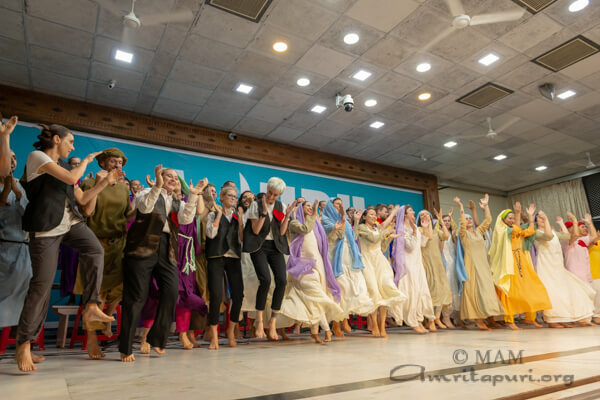 Amma’s international little children and teenagers then showcased a scene from Jesus’ life through music and dance. 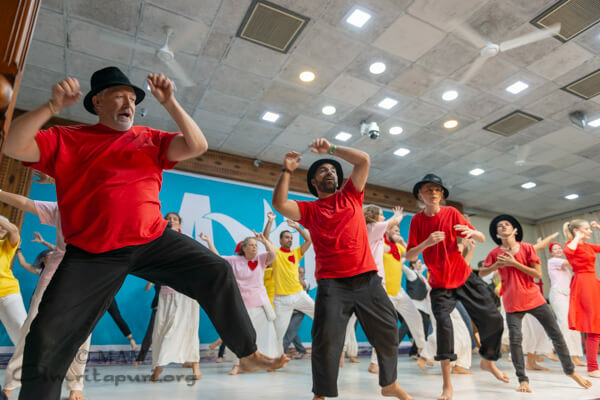 After a traditional Chinese dance a much applauded mime story was presented, narrating the story of an old man, who was trying to remember his childhood days and regain an innocent heart. 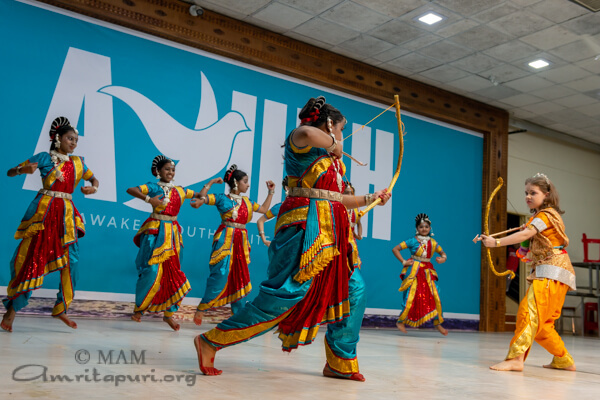 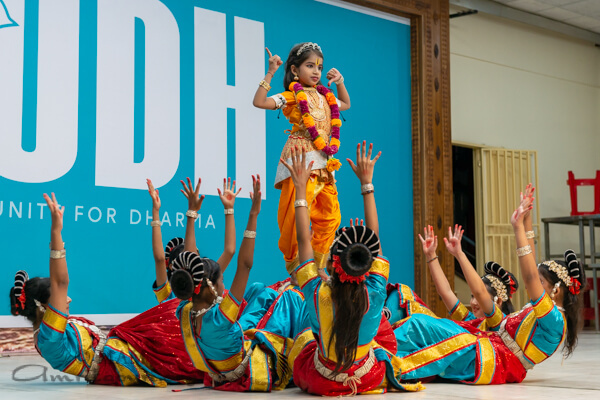 Various Ashram children presented a dance depicting the ten incarnations of Lord Vishnu. 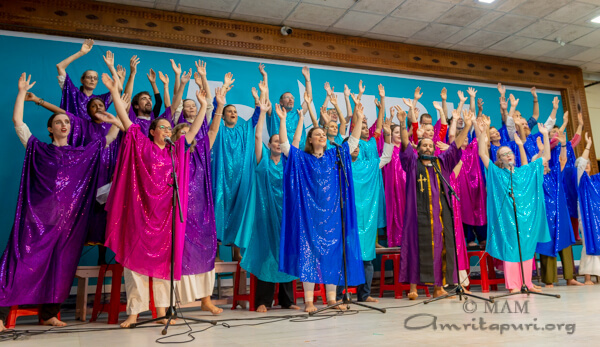 The cultural programme culminated in the singing of the song “Silent Night” and a musical drama about love and compassion, ending with a powerful gospel rendition. 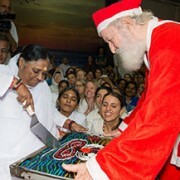 In the spirit of Christmas, Amma sang the english song “Only love”: “Only love is our guiding light, only love can heal and unite, only love shines so bright, only love can end this night”. 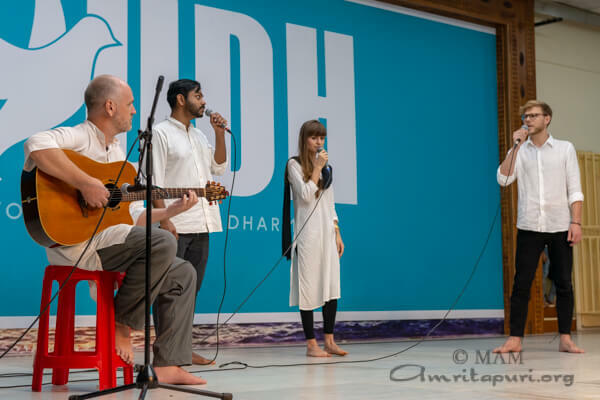 Soon after, she cheered the crowd with a rocking version of Mata Rani. 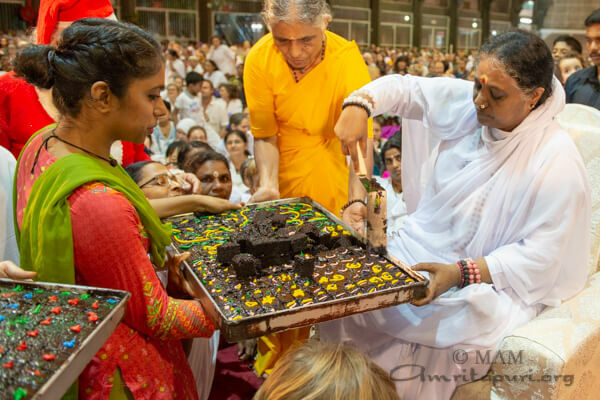 After a prayer and mediation for World Peace, Amma followed another Xmas tradition at Amritapuri: Blessing chocolate cake, which was distributed as prasad (blessed gift) to one and all, reminding us of the sweetness that comes with Divine Love.